I've been attending the Ottawa International Animation Festival since 1994. Coincidentally, 1994 was also Pilar Newton-Katz's first year at the OIAF. For the better part of twenty-some years, we'd see each other at the festival but our paths never intersected. One day about five or six years ago, we were both heading to a screening of MTV Animation films and I found myself standing on an escalator behind Pilar and finally said 'hi'. At that point, I pretty much had made a friend for life. Pilar is one of those bundles of positive energy who seems to be guided by the philosophy that "every stranger is a friend I haven't made yet." 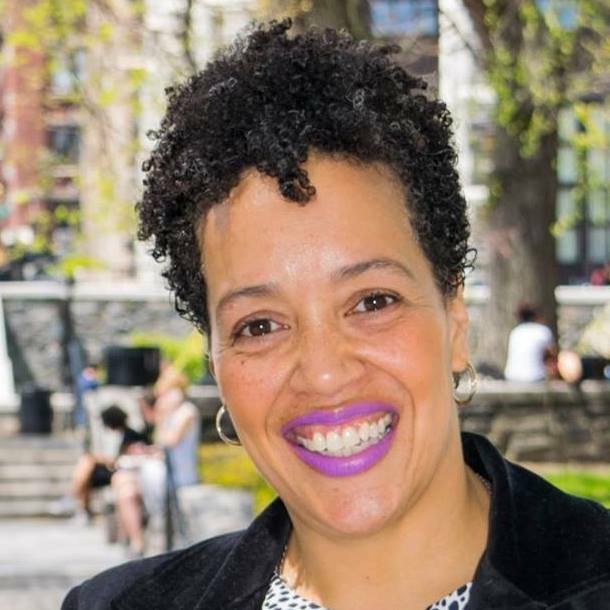 And over the years, it's been a real joy to interact with her, learn about her history, and hear about the exciting projects that she's working on before she jets off to share her energy with other festival attendees. There are a lot of things about the Ottawa festival that I look forward to all year and Pilar is one of them. 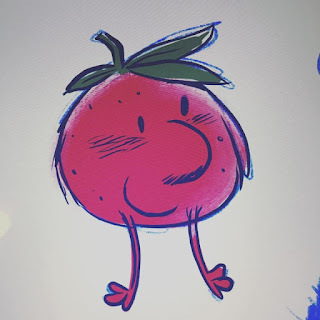 It is my pleasure to introduce Pilar to those of you who have never met her in person and reintroduce her to those of you who have fond memories of her boundless enthusiasm for animation. CW: What is your current job description? PNK: Animator, Director, Illustrator, and Animation Professor At the City College of New York and Kingsborough Community College -- both part of the City University of New York. CW: How long have you worked in the animation industry? PNK: A little over Twenty years. CW: You've mentioned in previous conversations that you parents were always supportive of your desire to be an artist. But when did you know that you wanted to be an animator? Was there a single defining moment? PNK: Watching the Smurfs on TV on Saturday mornings really blew me away. I had no idea how that cartoon was made as I was 8 at the time, but I just knew that was what I wanted to do. CW: What roles have you performed during your career in animation? PNK: I started off as an inbetweener on a series of short films that John Dilworth of Stretch Films fame directed for Sesame Street. He then moved me over to take on scenes to animate, working directly off of layout that he handed directly to me in the tiny studio. When Courage the Cowardly Dog launched I was a prop designer and a Story Board revisionist on that show. I then went on to be a layout artist at MTV for shows like Daria. I’ve done character design and BG design too as well as storyboard and sheet timing. CW: You have worked for studios and as an independent, which do you prefer and why? PNK: I love working independently. With a slightly more flexible schedule I can be PilarToons and I can also teach which I am now equally passionate about, particularly at the college level. Also, working independently I attract clients that more or less give me creative freedom to interpret their projects. CW: You've stated that you're pretty busy working on jobs and bringing in more jobs, are you able to find time in order do more personal work? PNK: Amending my previous answer: I am doing more personal work lately because I just started grad school this summer at the School of Visual Arts MFA Visual Narrative program. It is heavy on illustration and creative writing. In the next couple of years I will have illustrated a graphic novel and a picture book and a number of other really cool things. I’m also in the process of developing a series of shorts geared towards girls. CW: Let's go back to your time working for MTV Animation. You once told me a funny anecdote about how you drew yourself into the crowd scenes of Daria's "I Loathe a Parade". Did you have to get permission to do that or was it a little mischief that you played on the producers? PNK: It was the producers on the show that came up with the idea to pad the show side characters with likenesses of Daria crew. There were only so many characters that the designers could come up with for dozens of kids walking through the halls of the school and scenes that take place in the town such as a super market or a sporting event or parade. So we had a model pack full of teen versions of the Daria crew as well as the generic kids and townspeople. CW: You've been branching out into illustration work. Is this a recent development in your career? PNK: I’ve illustrated over 20 children’s books for companies such as Nickelodeon, Random House and Little Golden Books. I do character art for licensing having worked on the style guides for Frosty the Snowman, Pink Panther and various Warner Brother’s properties. All of the illustration that I have done has been commissioned work. I am working on releasing my own children’s book soon. CW: You've experienced first-hand the ups and downs of the New York animation scene. In the past while working on Daria, you were also doing some work on the side, so when Viacom shut down MTV Animation, it didn't impact you as hard as it did others. Do you think it's important for animators to have a 'fall back' skill that they can draw upon during times when animation work is scarce? (Examples: illustration, storyboarding, coloring, special-effects, etc). PNK: Yes, Illustration became my 'fall back' skill. Whenever animation work dried up for a time, I would fall back on illustration work. For the past 6 years teaching animation became a really useful side gig. Now lately, teaching animation is more than something to fall back on, it is a passion of mine, particularly at the college level. CW: You've been attending the Ottawa International Animation Festival for about twenty-five years now, what do you think is the best benefit for attending festivals? PNK: I’ve been attending OIAF since 1994 and I also attend local festivals in new York City of which there are many. Going to festivals is inspiring and it is a really great way to get out there and show your face at industry events. It’s not a guaranteed way to get work even at networking events, but rest assured you will come away feeling really inspired. CW: Speaking of the importance of networking at festivals (and being at the right place at the right time), would you share about how you got to meet industry luminaries Jon Musker and Ron Clements? CW: How has the industry changed for women animators since the time you started? CW: If your daughter said that she wanted to work in animation, what advice would you give her? My advice would also be to not let whether you work in a studio or not define you as an artist. You are an artist whether you work in a studio or not. CW: What is the most important thing that authority figures (parents, teachers, professors, etc.) can do to encourage girls who are considering a career in animation? PNK: Tell them they can do it! 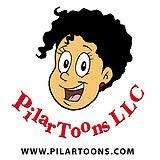 In addition to her teaching, Pilar is also the owner of her own boutique animation studio called Pilartoons where she conducts most of her freelance work. I encourage everyone to take a look at her comic strip "Just Pilar", Pilar's humorous take on her life experiences as a grad student. And before you go, I also recommend checking out some of Pilar's freelance animation work on the Kabbalah Toons series that she directed for chabad.org (along with husband and Sound Engineer Ivan Katz) -- a series of animated shorts designed to teach concepts about science, Judaism, and the Torah to kids. 1. Photos copyright Charles Wilson. It's March 8th, which means it's both Women's History Month and International Women's Day. So let's start out with a little history about women animators! Back in November 2018, I drove out to Toronto to see a special screening of films by Lotte Reiniger including the rarely seen English version of Aucassin and Nicolette (which she produced for the National Film Board) and the even rarer Ring and the Rose (independently produced for Gordon and Patricia Martin), from an old 16mm film copy. Afterwards, we retired to the "Lotte Studio" where Jonathan talked about the history of Lotte's trick-table, how it came to be in his possession (along with a large amount of "animation artifacts" from Lotte's time in Canada) and what led up to his decision to donate the table to the Toronto Animated Image Society. Now, if you would like to have an animation experience that touches upon a part of animation history, specifically the history of women animators, I would like to recommend a trip out to the Toronto Animated Image Society (tais.ca). TAIS has made Lotte's trick-table available for members to rent for their own animated films. Located at the TAIS Studio on Dufferin Street, the table setup comes with a digital camera, a Macintosh computer running DragonFrame, and a bottom-mounted set of lights. Studio Membership costs at TAIS are reasonable as are the rental fees for using the Lotte Studio. Back in September, I was blessed to spend a day working on a silhouette film using Lotte's table before driving to the Ottawa International Animation Festival. And while I wouldn't call it a "religious experience" per se, it certainly was a very gratifying experience to work on an animation using a piece of animation history that was built by and used by a titan of animated film. If you have the time, I highly recommend the experience.